Join our beading classes by Nun Paterson every Wednesday afternoon. Make your own earrings/pendants etc. 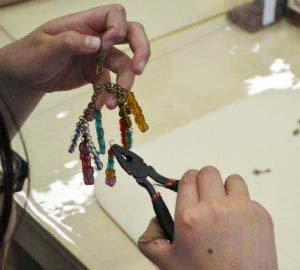 in the Jewellery workshops. • Spacers – Daisy, Flower, Square, Swirl, three hole, two hole, Heart, Butterfly.